The Numark iDJ Pro DJ Controller for iPad with Lightning Connector offers users the ability to control Algoriddim's Djay app with the same level of tactile control previously only available to users of high end midi controllers. 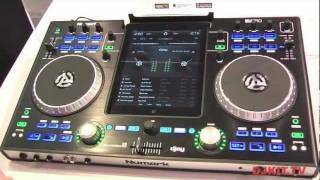 The Numark iDJ Pro features seamless integration between Apple's iPad and the traditional dual platter DJ system favoured by both beginners and veterans alike. The iPad's touchscreen incorporates into the iDJ Pro control surface to create a portable, intuitive and powerful solution. In addition to it's impressive brushed aluminium finish the Numark iDJ Pro also boasts capacitive touch activated platters, loop and effect controls, large old skool styled volume pots, balanced XLR outputs and Airplay compatibility (Headphones and Microphone will not work in Airplay mode). This unit now has a cut out to fit the lightning adaptor for new generation ipads. 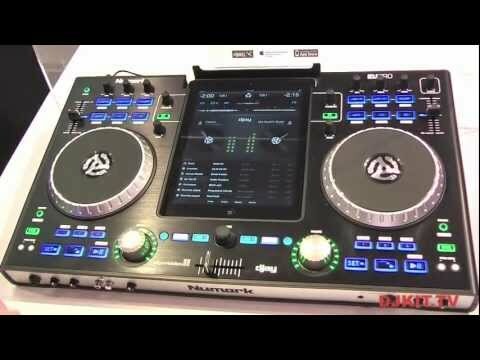 Considering purchasing the Numark iDJ Pro? Have questions? Ask people who've recently bought one. Do you own the Numark iDJ Pro? Why not write a review based on your experience with it. 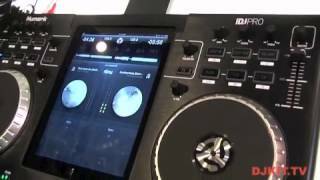 Seen a video for Numark iDJ Pro online or have you own video? 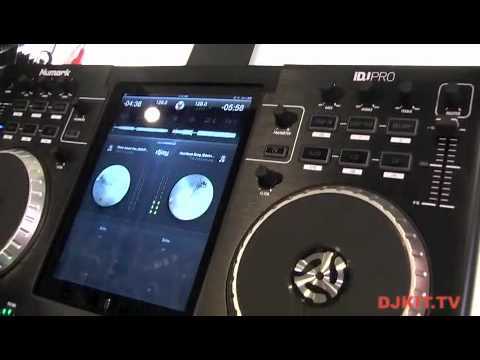 Check out Numark iDJ Pro on DJkit.com!